Intranet communication channel is the next-generation user- driven portal to more effectively and efficiently communicate with its advisors, and help them find the information they need in a highly-regulated industry. Intranets can serve as powerful tools for communication, enhancing teamwork by sharing information across organizations. What are the benefits of implementing intranet communication channel? Intranets allow organizations to distribute information to employees on an as-needed basis. Intranets can help users to locate and view information faster and use applications relevant to their roles and responsibilities. Internal intranet communication channels increase employees’ ability to perform their jobs faster, more accurately by accessing information from anywhere. 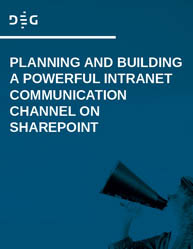 This whitepaper highlights several additional key strategies and tactics during the design and implementation of intranet and also provides the brief insight into topics: Discovering process for building an intranet portal Implementation of the message center as a home page news stream The planned design and implementation of SharePoint What are the platform challenges faced during implementation of intranet channels? Download this whitepaper to learn more about intranet communication portal that focuses on proper management of the content and creating a more engaged and informed workforce. Implementation of social intranet on Sharepoint 2013 platform which is considered as the best of breed in intranet platforms, adding engaging social collaboration features requires proper planning, design and smart customizations. SharePoint intranet has forged a strong foothold on the open source intranet market and provides powerful intranet solutions for more than a decade. This whitepaper brings you the Sharepoint Intranet implementation challenges, strategies and tactics leveraged during the design and implementation of this new intranet platform. This Sharepoint White Paper mainly focuses on: Business and technical challenges faced by the organizations during Sharepoint implementation Extension of Sharepoint 2013 to address the challenges and deliver a next-generation social intranet for its employees Strategies adopted for the Sharepoint intranet implementation and how to organize and manage collaboration spaces While the SharePoint 2013 platform is considered the best of breed in intranet platforms, adding engaging social collaboration features requires proper planning, design and smart customizations. Unified content governance in SharePoint sites require a variety of components and approaches to be used. Learn how to plan effective information architecture to ensure that the content governance in SharePoint solution meet your business needs. 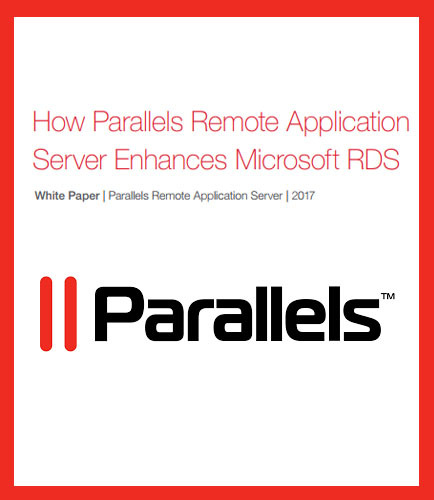 This informative whitepaper on “SharePoint Will be Your Repository for Governed Content” describes why SharePoint will remain your primary enterprise content management (ECM) repository for SharePoint content governance, regardless of how often analysts, consultants, or entrenched competitive vendors tell you otherwise. It addresses questions like: What are the complexities involved in implementing an enterprise SharePoint-based solution for content governance? What does SharePoint need for content governance? What are the enterprise challenges of content governance in SharePoint? Is SharePoint winning and forcing consolidation of the ECM and RM Market? 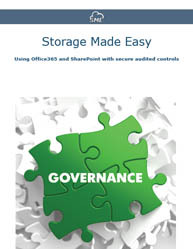 Why is content governance from inside SharePoint the best approach? How a document can be manually moved to a separate and external repository of record, with a link or stub left behind in SharePoint Download this whitepaper that outlines the requirements for enterprise content governance of the full range of SharePoint content and best-practices for enterprise-scaled content governance based on a foundation in SharePoint.